The Veterinary Health Center at Wentzville will soon expand its services to offer a dermatology clinic for companion animals. Karen Campbell, DVM, MS, DACVIM – Small Animal Internal Medicine, DACVD, will begin seeing patients on March 2 at the VHC – Wentzville, which was previously known as Mizzou Animal Cancer Care. The Wentzville location is a satellite facility for the University of Missouri Veterinary Health Center. 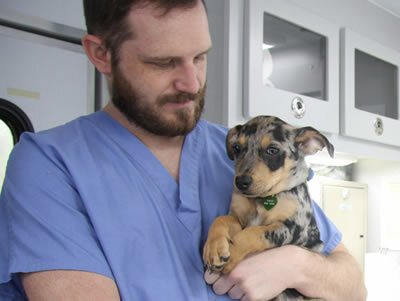 Veterinarians at the Wentzville location offer cancer treatment and behavioral services for dogs and cats. Campbell will treat allergies, bacterial and fungal infections, parasitic skin diseases, endocrine and metabolic disorders, immune-mediated diseases, skin tumors, nail and nail bed diseases, and other dermatoses. She will offer intradermal testing to identify allergies, injectable and oral allergen-specific immunotherapy, and video otoscopy for deep ear flushes, myringotomies, bulla cultures and removal of foreign bodies and polyps from the ear canal. Campbell received a bachelor of science degree in animal sciences and DVM from the University of Missouri. She worked for Asheville Veterinary Associates in North Carolina before pursuing a rotating internship in small animal surgery and medicine at Auburn University. She went on to complete a residency in small animal internal medicine and a master of science in clinical pathology at the University of Georgia. She undertook an additional residency in dermatology at the University of Illinois. Campbell is a diplomate of the American College of Veterinary Internal Medicine (Small Animal) and the American College of Veterinary Dermatology. Campbell is an active member of the American College of Veterinary Dermatology and the American Academy of Veterinary Dermatology. 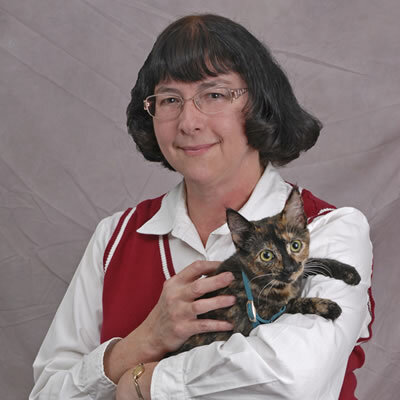 She received the 2013 Award of Excellence from the American College of Veterinary Dermatology in recognition of outstanding teaching and service in veterinary dermatology. She was selected as the 2014 Alumna of the Year from the University of Missouri College of Veterinary Medicine. Campbell and her husband, Lawrence Motsinger, have two grown children (one is a 2015 graduate of the University of Missouri College of Veterinary Medicine). They share their home with four cats and one dog and also have two horses. They enjoy spending time outdoors, being with family and traveling.